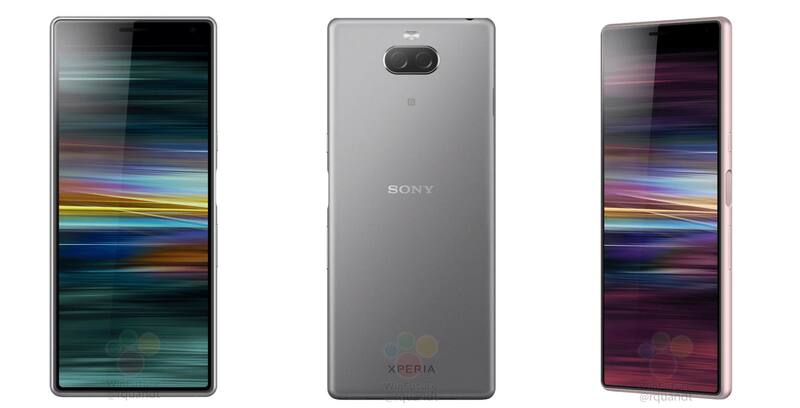 It appears Sony has prepared not just one, but two smartphones with a unique 21:9 aspect ratio. According to new renders, the Xperia XA3 will also sport the tall aspect ratio. The renders from WinFuture showcase a very rectangular handset with a thin bottom bezel and a thicker top bezel. Currently, it’s unclear what size the display will be. However, according to WinFuture, previous rumours suggest the phone will include a 5.9-inch display, with a 2,560 x 1,080-pixel resolution. Because of the tall aspect ratio, Sony will, according to the renders, place the volume rocker, power button and the side-facing fingerprint sensor lower on the handset. Additionally, the renders indicate that the phone will support a dual camera setup with, according to WinFuture, 23-megapixel and 8-megapixel sensors. Furthermore, the leak suggests the device will sport a USB-C port, 4GB of RAM, 64GB of storage, 3,500mAh and a Snapdragon 660 processor. Sony will reportedly show off the Xperia XA3 and more at its launch event on Monday, February 25th.